We had our wonderful little cat trainer to perform in a palace in Fribourg, Switzerland. All kids loved this cats act only composed of white cats. A great afternoon for all. 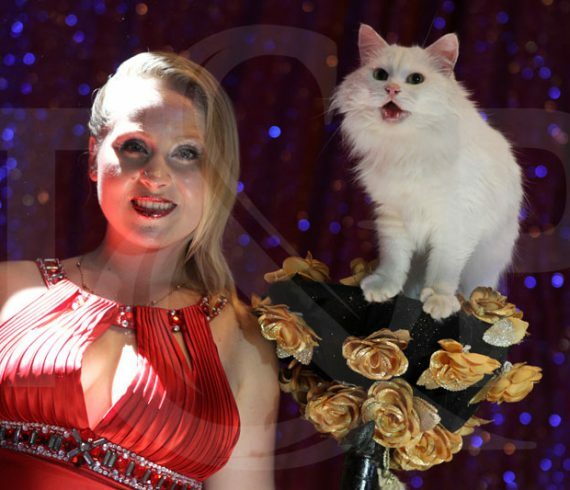 We just sent out one of our marvelous circus acts: Anelya Cats to be part of a TV show in Germany. They recorded the show a few days ago and should be broadcasted very soon in Germany. Of course, once we get the DVD, we will show you a short clip of her performance. We had one of our best circus acts to perform in Prague (Czech Republic) at a corporate event. The event took place in a castle and the client was looking for an act that could be: Powerfull – Energy – WOW – original and stylish. We come up with our great and unique cyr wheel act: Val and the wheel. Build your team in Acrobatic fashion.